We put our patient’s time, safety, and dental health first. Our goal is to assist you and treat any dental problems you may have by using the latest dental techniques and technology to make your visit as quick and as painless as possible. 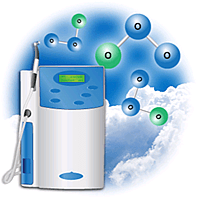 We offer the use of oxygen and ozone to guard against infection. Infection, especially in dental surgery, is a serious risk, and one that has traditionally been managed by using antibiotics. An option we offer here is the use of pure, natural oxygen and ozone instead. Pure oxygen and ozone floods the site and kills any microbes that may be building. This technique is just as, if not more, effective than traditional antibiotics. Dr. Bowen is on the cutting edge of technology, and is using that technology with his years of experience to put his patient’s safety and health first. No possibility of allergic reaction. No pharmacy visits down the road – everything is handled in one visit to our office. Lesser risk of complication or infection. Sensitivity can be lessened in the surrounding area. The greatest benefit to you is that, when using oxygen and ozone therapy, you aren’t changing anything chemically in your body. We’re simply adding something pure, something completely natural, and using it to fight off potentially deadly infections. This holistic therapy provides not just an alternative to traditional antibiotics, but a new way forward. At our office, the patient comes number one, and we’re using every advantage that modern dentistry provides to make your visits as quick and care-free as possible.